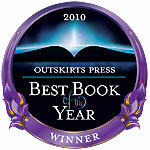 Join us all this week as we acknowledge the finalists in the 2010 Outskirts Press Best Book of the Year Award. Today we focus on Frank B. Leibold, Ph.D. The public polls open on Friday right here on this blog. Anyone and EVERYONE can vote on the finalist they would like to see walk away with the award for the Best Book Outskirts Press published in 2010. We will be accepting votes through the end of April, so tell everyone you know to visit our blog starting on Friday, April 15th to vote. The finalist with the most votes as of May 1 will be declared the winner of the Best Book of the Year 2010 award, the exclusive cover graphic (see right) and the $1,500. For more details about the Best Book of the Year Award and your chance to be a future finalist, click here. Why has the current economic recovery been so sluggish? How can so many people still have difficulty in finding a job? And what are the new skills required for the 21st century? This book answers these questions and in the process develops six universal competencies that can lead to success in any job or career. It is a serious book about the greatest challenge America faces as it slips from global educational and economic dominance. Having been chosen as the best book in the Self-Help genre with a EVVY award by a panel of three independent experts I would be honored to receive your vote for Outskirts Press’ Book of the year award. If you are struggling to find a job, concerned about keeping the one you have, or feel that your career has stalled, this book was written for you. Despite 25 years of documented effort by 18 esteemed professional organizations to close it, America’s global skills gap is worsening–to the detriment of your employability. Employees now have to navigate multiple job and career changes which will require new skills. Leibold develops six scientifically validated Lifelong Transferable Competencies (LTCs) that are required for success in any job or career. He then offers over 60 practical suggestions on how you can enhance your future employment options by developing your own LTCs to improve your career transitions and influence. Frank Leibold after a distinguished 30 year business career with three multinational corporations and nine jobs-culminating in the position of Group President- re-tooled himself by returning to school and obtaining his Ph.D.. Frank then became a nationally recognized university professor of marketing while founding his own global management consulting company. He and his wife reside in South Carolina and spend time traveling to visit and spoil their nine grand-children- two in Australia. Like this finalist? Vote for him at blog.outskirtspress.com on Friday, April 15. 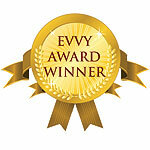 Do you want to publish an award-winning book and be entered into the 2011 Best Book of the Year Awards?